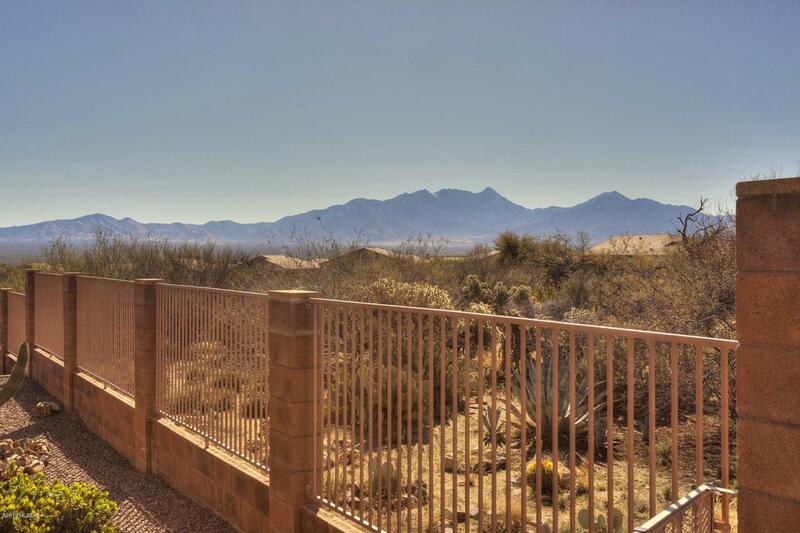 This popular Casa Bella floor plan is loaded with upgrades and options and is situated on a desirable mountain view lot. Nothing but the best for this home which is well cared for. This great room plan has split king sized bedrooms. Both w/ bay windows and walk in closets. Guest BR up front has direct access into the 2nd bath and the hall door can be locked off to create a private suite. 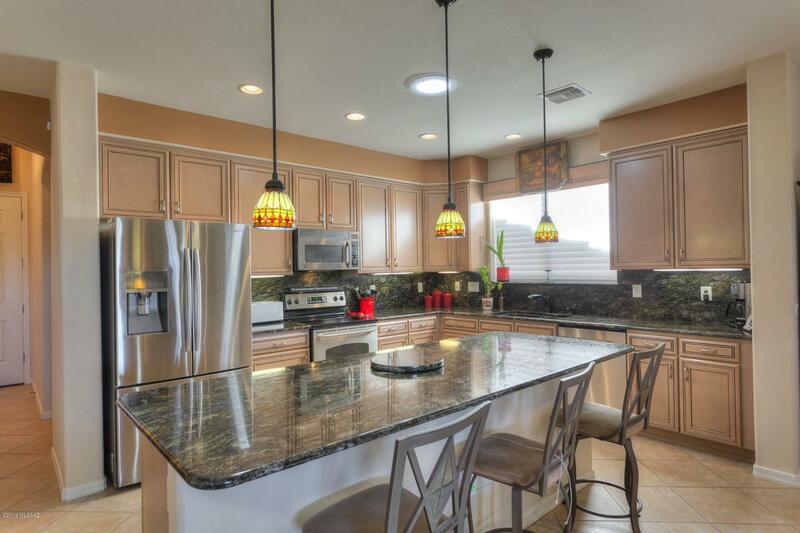 The island kitchen boasts tall 42'' maple cabinet uppers; gorgeous granite counters and full backsplash; stainless steel appliances; under cabinet lighting; roll out shelves and 3 pendant lights over the huge island/ breakfast bar. Throughout the home there is diagonal set tile except for the BR's which are a rich laminate. Stain glass adorns the dining area window and also both bedroom clerestory windows.An entertainment center highlights the great room and french doors lead out to the wonderful outdoor space w/ fully extended covered patio, artificial grass and of course the fabulous mountain and desert views. Master suite has a double sink executive height vanity and the famous cultured marble snail shower. The garage has a four foot extension; floor coating; built in cabinetry; water heater has a recirculating pump and there is a water softener. The driveway is also extra long with a brick tumbler apron and sidewalk to the front door. The laundry room has an in cabinet sink. W/D to be replaced with matching Kenmore Front loaders. 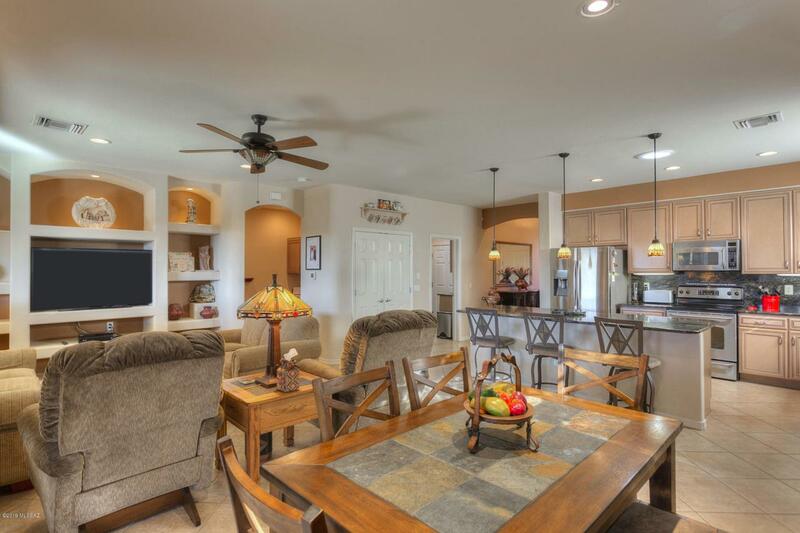 Las Campanas Village has a one of a kind HOA that is set up much like a condo, but w/ fee title. 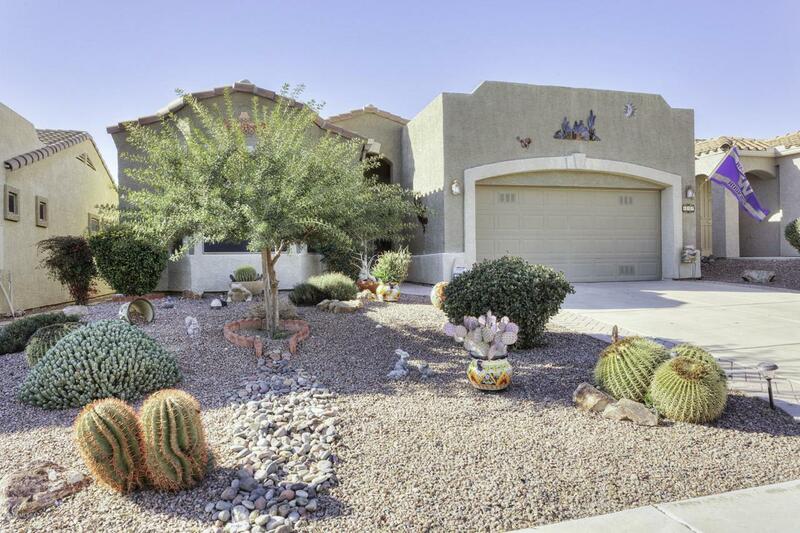 They maintain your landscaping, stucco, paint and roof. Also water for your landscape; monthly pest control; expanded basic cable TV; weekly trash and recyclable pickup; fire, hazard and liability insurance; common areas, gates and road upkeep; and they also maintain a healthy reserve fund.